Windows 8 is something Microsoft is still trying to get people to forget about. However, the entire form factor of 2-in-1 hybrid laptops is the lasting legacy from that era—and they’ve only gotten better over the years. Samsung is one of the only companies still making decent Android tablets they’re making good Windows 2-in-1s as well. The Galaxy Book has the same premium design that customers have come to expect from the Galaxy brand of smartphones and tablets. However, outside of some nice interactions between your Galaxy phone and the Book, it doesn’t have a ton of features that make it stand out from the Surface Pro—and that includes the price point of this thing. For mobile users, Lenovo’s Miix 720 is a powerful tablet that can replace your laptop with its bundled detachable keyboard folio cover and active stylus. With its familiar convertible form factor, the Miix 720 joins a growing list of competitors that aim to ape and outshine the category defining Microsoft Surface Pro. And the Miix does just that — balancing performance, futureproof port selection and upgradeability, making this the ultimate “pro” level tablet. While the Spectre x2 borrows the iconic Surface Pro form factor, HP added its own design flourishes to make the Spectre a uniquely luxurious alternative to Microsoft’s category-defining detachable. A unibody frame, mid-century-like modern design, attractive Ash Silver paint coat, Midas-like copper accent and a rich Saffiano faux leather folio gives the Spectre x2 a level of sophistication and elegance that’s largely unrivaled in the tech space. 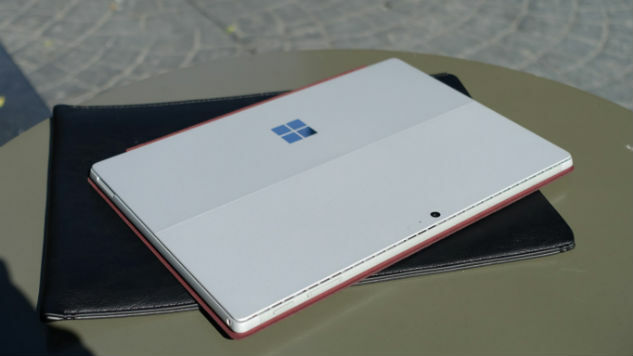 Microsoft gave the Surface Pro meaningful upgrades this year, even if the design remains largely unchanged from the prior iteration. The Surface Pro gains newer Intel Kaby Lake processors, and the Core i7 model benefits from even better graphics performance with support for Intel’s Iris Plus discrete GPU, all wrapped in the iconic form factor complete with a kickstand. Better battery life, optional LTE configurations (coming later this year) and more options for fanless configurations round out some of our favorite feature upgrades for 2017.